It seemed a simple enough idea at the outset: to assemble a team of eleven men to play cricket on each of the seven continents of the globe. Except - hold on a minute - that's not a simple idea at all. And when you throw in incompetent airline officials, amorous Argentine Colonels' wives, cunning Bajan drug dealers, gay Australian waiters, overzealous American anti-terrorist police, idiot Welshmen dressed as Santa Claus, Archbishop Desmond Tutu and whole armies of pitch-invading Antarctic penguins, you quickly arrive at a whole lot more than you bargained for. Harry Thompson's hilarious book tells the story of one of those great idiotic enterprises that only an Englishman could have dreamed up, and only a bunch of Englishmen could possibly have wished to carry out. 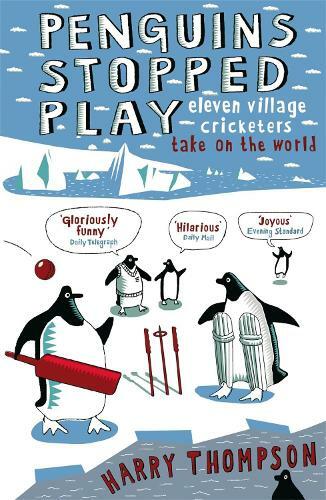 This shaped up as a very funny book about an unlikely cricket team and an overcomplicated world tour. It turned out to be poignant, life-affirming, and reminded me of what the important things are; and still very funny. Brilliantly funny book. I laughed out loud and I'm not a cricket fan!